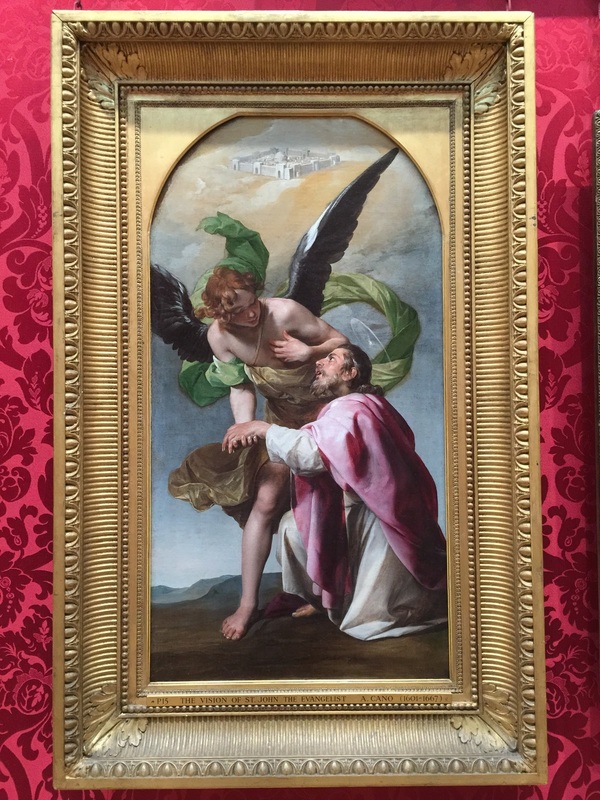 The Vision of St. John The Evangelist, circa 1636-7, by Alonso Cano is a beautiful, small, Spanish painting held at The Wallace Collection in London. 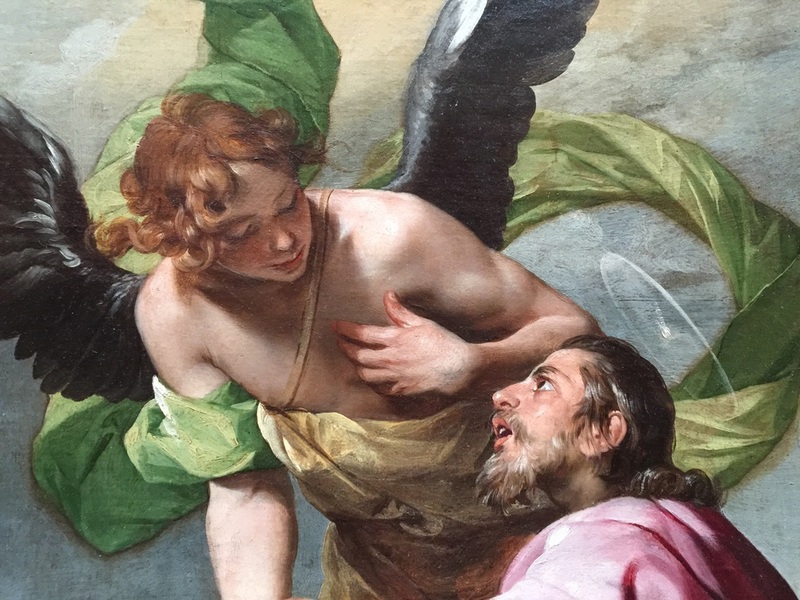 It shows an angel revealing a vision of Heavenly Jerusalem to St. John The Evangelist. 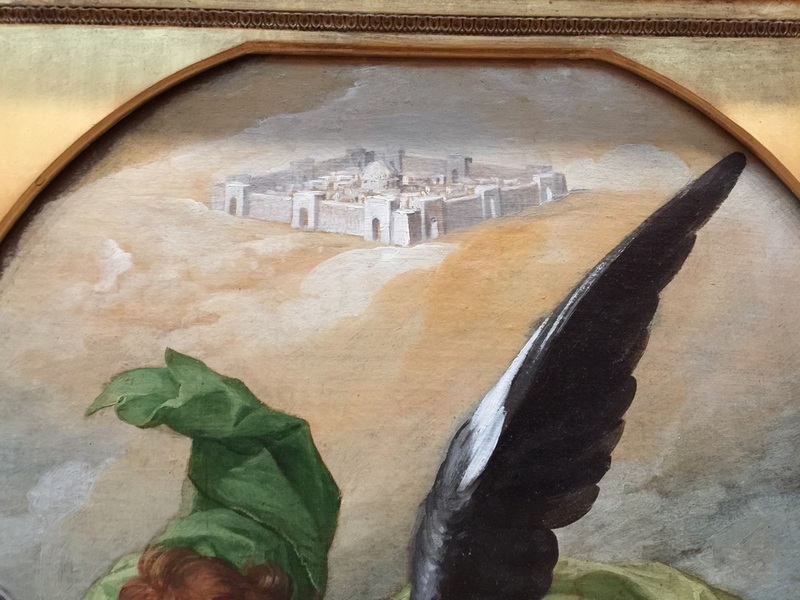 It would appear to feature a version of King Solomon's Temple or more likely a depiction of the Dome of The Rock in the cloudy apparition above the two central figures. Cano's painting technique ad use of color is beautiful. Giant Eye in Barcelona Street Layout!